Croatian artist currently living in Colombo, Sri Lanka. 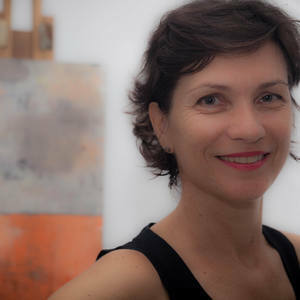 She works in a variety of media, including photography, film and painting. The backbone of her professional biography is traveling. By way of numerous travels and moves to different countries due to her work in documentary film projects, she developed an interest in different cultures, promoting intercultural dialogue in her art. Exhibite include the United Nations Headquarters, New York, group exhibition (2006); the 10th Cairo Biennial, (2007); Mahmoud Mokhtar Cultural Centre in Mahmoud Mokhtar Museum, Cairo, 'Viaggio' (2007); Museum of Ancient Glass, Zadar, Croatia, 'Viaggio', (2010); Paradise Road Gallery, Colombo, Sri Lanka, 'Stories About Cities' (2014); Saskia Fernando Gallery, Galle, Sri Lanka, 'Stories About Cities' (2014); Colombo Fashion Week Frame in partnership with ARTRA, Cityscapes & Forts, Galle, Sri Lanka (2015). Her art was featured in Saatchi Art weekly collection New This Week in November 2014.